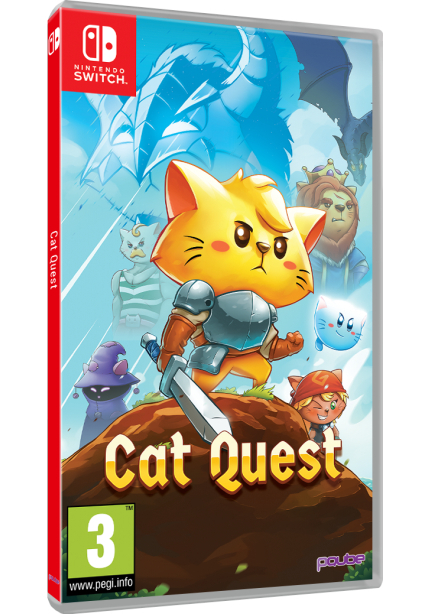 PQube and The Gentlebros are excited to announce that physical copies of Cat Quest for Nintendo Switch are available now at retailers in Europe, while players in North America will have to wait until September 11th to get a physical copy. That’s only four days away, though. The game comes with an impressive list of language options, too. They include Chinese (Simplified and Traditional), English, French, Italian, German, Japanese, Russian, Spanish, and Thai. The game has been available digitally in the Nintendo Switch eShop since November 10th, 2017. It is also available on several other platforms as well, but for the launch of the physical Switch copies, they’ve released a new trailer that you can see below. 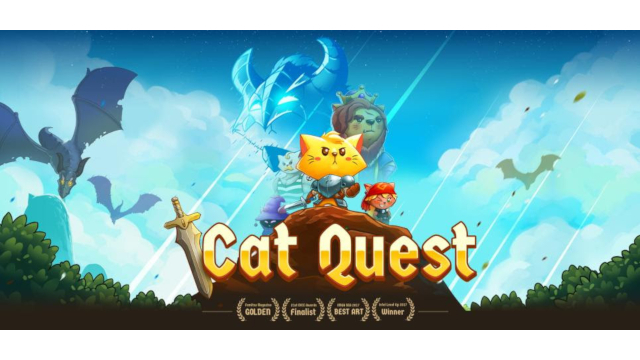 Cat Quest takes place in the land of Felingard, a 2D, isometric world of playful feline adventure! Unfortunately things aren’t going the best for you at the moment, thanks to Drakoth, the evil and “pawerful” cat-lord. He destroyed your boat and your sister has been catnapped! It turns out that all hope is not lost, though, as you are the last of the Dragonblood. The Dragonblood are a nearly extinct race of dragon slaying feline warriors! As the last of them, its now up to you to save the world of Felingard!